A group of unknown individuals firebombed the house of a SYRIZA MP late Wednesday night, in an attack believed to be connected to the ongoing parliamentary debate on the ratification of the Prespes accord. Theodora Tzakri, a lawmaker from the regional unit of Pella in central Macedonia, spoke of a “murderous attack” that happened while her spouse and underage child were in their house in the city of Giannitsa. The attack with four petrol bombs caused minor damages at the house’s balcony. “Today’s murderous attack at my home…is blamed exclusively on all these political forces whose prejudice over the last few months has divided the country and have allowed every fascist and killer to go out…and believe he can revive the [WWII] security battalions,” Tzakri said in a statement. “There should be no illusions that the division caused by those political forces and their collusion with extreme-right elements form the base that instigates all these murderous attacks,” she added and called on all parties to “raise an impenetrable wall” against the far-right. 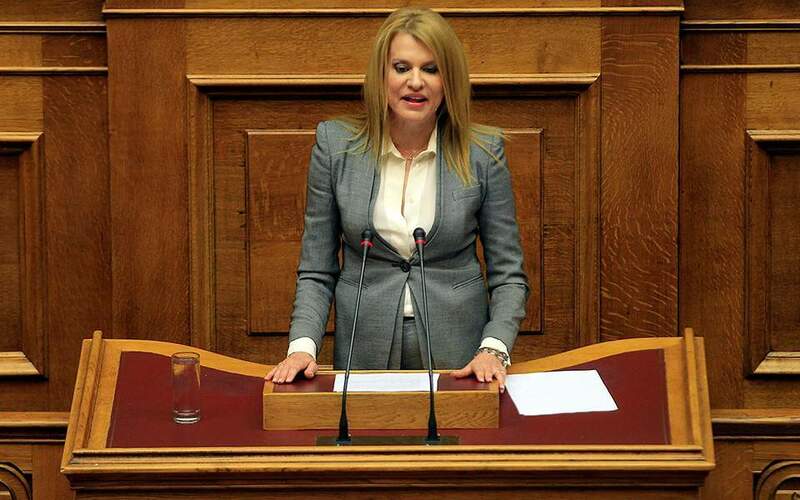 The attack was announced in Parliament by SYRIZA MP Nikos Xydakis late Wednesday night. It was condemned by Prime Minister Alexis Tsipras and main opposition leader Kyriakos Mitsotakis.